You’re an artist when you say you are. And you’re a good artist when you make somebody else experience or feel something deep or unexpected. You will often hear me joking about being a “certified artist” when referring to my BA in “Art Studio”. I went to school for 4.5 years (due to switching majors) and walked out able to make art. Which is laughable, because I’ve been making art in some form since I can remember. Certainly, I have grown as an artist since I was young (and even since last year) and school was part of that. New techniques have been learned, materials explored, and time dedicated to making art. Fortunately, you don’t have to attend (or pay for) a series of university courses to become an artist. Whether you want to make art for yourself in the comfort of your home or pursue a career as a working artist, you can do this on your own. 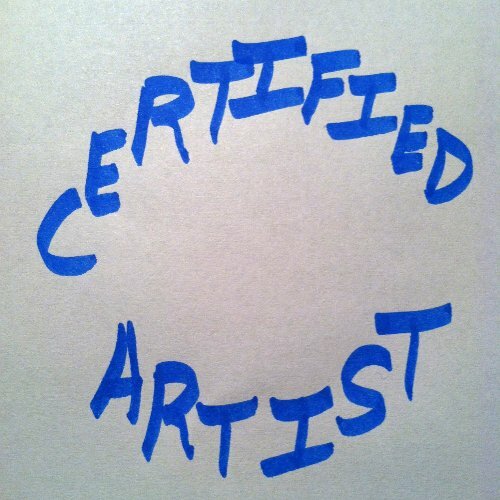 I’m a “certified artist”. And that means that I can make art using on my favorite materials and techniques. You can do the same. Just take what you know and the media that you have available and start making art to the best of your ability. Now you’re an artist, too! Next Next post: Why Stick Figures?